XD best engie comic yet!!! 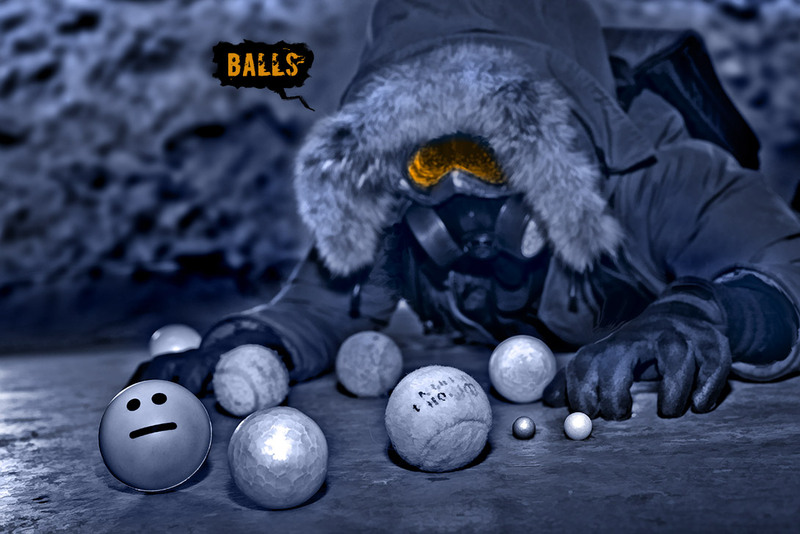 those be some nice balls. . . I love that one ball that just looks so "meh". That ball has seen some weird stuff I tell you. I know what I'm about to say isn't about this comic but ill say it anyway. Engie was looking for the luckiest person in the world right? Captain/Subject 7 was made for that purpose. But think about it, what about snippy? Wait. This was all a dream, right? Technically he has died at least twice at the point of this page, first time when Cancer stabbed him and Lifealope had to resurrect him and Pilot, and then he was temporarily killed and then reassembled when that other alien thought he was Captain. So not really *that* lucky. Moderately lucky that there are other beings that want him at least temporarily alive, but some of that luck may very well be spill-over luck from Captain who is one of the beings that want to keep Snippy alive. @Branai Ah, but his understanding of such things is near zero, he didn’t even know “inanimate” objects could speak. His supposed luck is more likely to be from Captain, perhaps zee is helping prepare Snippy for his “most gravy fate”? It would make sense if following Engie’s theory of Captian’s luck being able to be “rubbed off” on other nearby entities. The ball with the straight face looks so done with everything.